Hurstwood's philosophy for projects is to work harmoniously with the Client and the Design & Construction Teams to ensure a successfully completed project, on time, to budget and in compliance with the Client's requirements. Core to our design approach is the use of renewable and sustainable energy, whilst maintaining a practical cost-effective solution. To see more projects use the filter options below. Building Information Modelling (BIM) is a digital representation of physical and functional characteristics of a facility. Participants in the building process are constantly challenged to deliver successful projects despite tight budgets, limited manpower, accelerated schedules, and limited or conflicting information. The significant disciplines such as architectural, structural and MEP designs should be well coordinated, as two things can't take place at the same place and time. Building Information Modelling aids in collision detection at the initial stage, identifying the exact location of discrepancies. 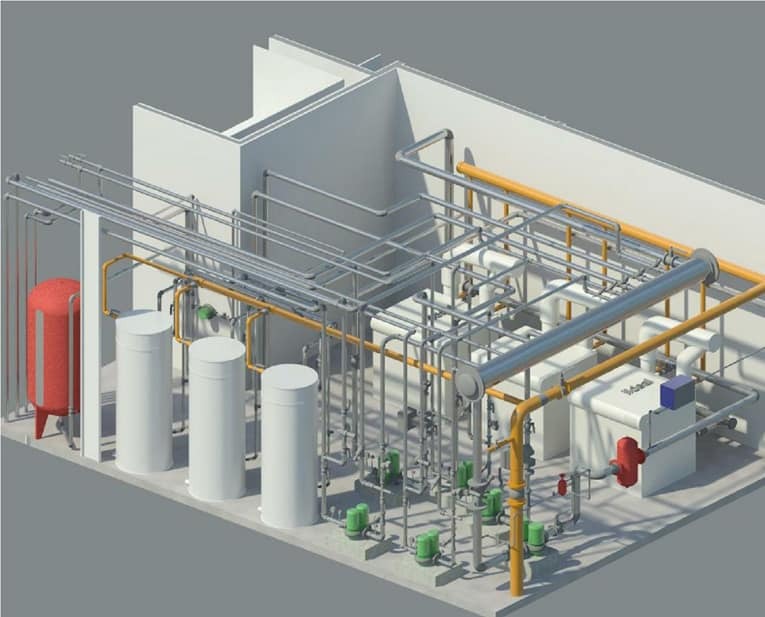 The BIM concept envisages virtual construction of a facility prior to its actual physical construction, in order to reduce uncertainty, improve safety, work out problems, and simulate and analyse potential impacts. Sub-contractors from every trade can input critical information into the model before beginning construction, with opportunities to pre-fabricate or pre-assemble some systems off-site. Waste can be minimised on-site and products delivered on a just-in-time basis rather than being stockpiled on-site. Quantities and shared properties of materials can be extracted easily. Scopes of work can be isolated and defined. Systems, assemblies and sequences can be shown on a relative scale with the entire facility or group of facilities. 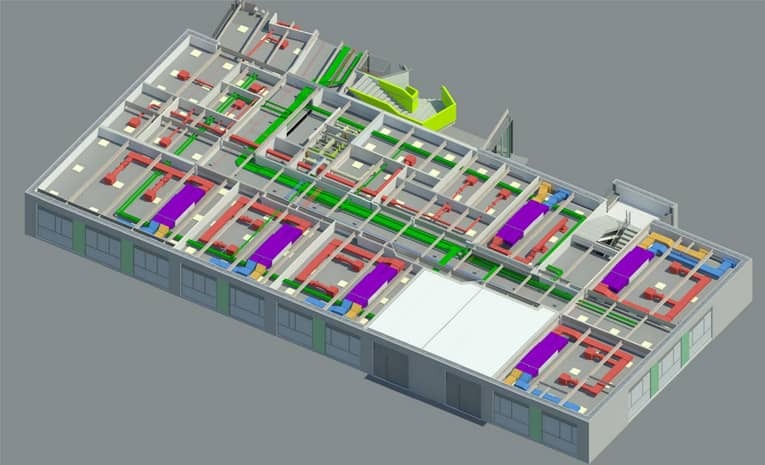 BIM also prevents errors by enabling conflict or 'clash detection' whereby the computer model visually highlights to the team where parts of the building (e.g. structural frame and building services pipes or ducts) may wrongly intersect. 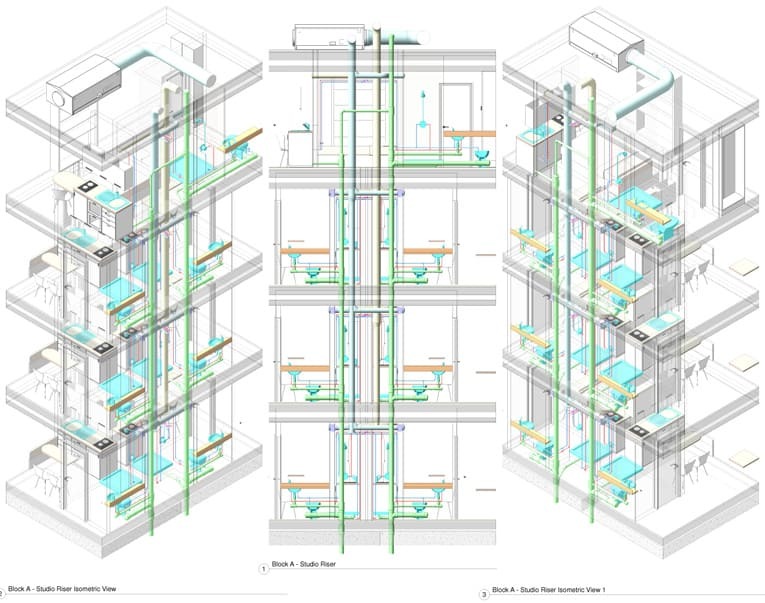 We introduced BIM software in 2013 we are now putting it to good use & the results are astounding. We are able to iron out services clashes weeks before the first fixing hole is drilled on site. Consult experts. We are real people providing real solutions for your business. We have completed 3 recent projects with Hurstwood Environmental and have been impressed with their professionalism and knowledge of the industry, their understanding of Part L of Building Regulations, in particular, has been of great assistance. They have just commenced their 4th project with us and we hope to continue this working relationship in the future. We have now worked with Hurstwood Environmental across 6 residential development projects and we have found them to be a very professional and knowledgeable organization. Our development portfolio is extremely varied, however, Hurstwood has been able to advise and create a useable M&E pack for each of our projects without any trouble. They regularly attend design team meetings and work alongside our other professional teams to solve and design solutions to any problems that arise. We would recommend working with Hurstwood Environmental.